It’s not a guarantee that he’ll stay with the Hornets, but Kemba Walker is serving as Charlotte’s unofficial host for All-Star Weekend, writes Rick Bonnell of The Charlotte Observer. “Welcome everyone to my city!” Walker tweeted today as a greeting to the thousands of visitors headed to Charlotte for three days of festivities. Walker, who holds nearly every franchise scoring record, will be one of the hottest names on this year’s free agent market. A three-time All-Star, he is in the middle of his most productive season, averaging career highs with 25.2 points, 4.4 rebounds and 5.7 assists per night. Despite Walker’s affection for Charlotte, Bonnell states that it’s hard to predict what will happen this summer. Heat guard Goran Dragic is “making a lot of progress” after having knee surgery in December, but coach Erik Spoelstra tells Barry Jackson of The Miami Herald there’s still no timetable for his return. Miami has been expecting him to be ready soon after the All-Star break. In the same story, Spoelstra says Ryan Anderson, who has only played two minutes since being acquired from the Suns, is ready for a larger role if needed. Markelle Fultz and Jonathan Isaac, both top six selections in the 2017 draft, have a chance to prove themselves with the Magic after battling injuries early in their careers, notes Roy Parry of The Orlando Sentinel. Orlando’s front office believes Fultz, who was acquired from the Sixers last week, can become a standout point guard because of his strength, explosiveness, court vision and playmaking. Wizards center Thomas Bryant reached starter criteria this week by starting his 41st game of the season, tweets ESPN’s Bobby Marks. The qualifying offer for the upcoming free agent has been increased to $3MM and Washington’s cap hold has been raised as well. Dwight Howard was supposed to be the starting center after signing with the Wizards last summer, but Bryant seized the opportunity when Howard was injured. Despite fracturing his hand last week, Rajon Rondo continues to help the Lakers progress through their tumultuous start to the 2018/19 season on the sidelines. His veteran leadership, locker room mentality and 13 years of experience have positively impacted several players, particularly the team’s group of younger talent. “My whole life I ain’t never played with someone like him, or LeBron [James],” teammate Lonzo Ball said of Rondo, according to ESPN’s Ohm Youngmisuk. “It’s new to me to just try and follow in their footsteps in a way, just because you can see them get the most out of everybody and the practices are way better than they were last year because they are always challenging people. Rondo was at the Lakers’ practice facility the morning after fracturing his hand, according to Youngmisuk, instructing teammates and being present for guidance when needed. It’s those kinds of traits that helped him win a championship with the Celtics in 2008, and it’s exactly why the Lakers value his services so much. Rondo underwent surgery on Thursday and is expected to miss 4-5 weeks. He’s averaged 8.5 points, 6.5 assists and 25.3 minutes in 11 contests this season, playing most of his games off the bench. The Kings‘ improving culture is a noteworthy change this season, Jason Anderson of The Sacramento Bee relays. “Winning begins with culture and character matters,” general manager Vlade Divac said. Sacramento has started the 2018/19 season with an 8-8 record. The Bulls might not have wanted Lee, and more parts may have been required to make such a deal acceptable for both sides, but that’s just one example of how Asik’s modest partial guarantee – and his old contract – provided some value. That $11.98MM cap hit could be useful for salary matching in all variations of trades and wasn’t a negative asset since it wasn’t guaranteed. By comparison, a player like Avery Bradley has a contract structure similar to Asik’s for next season ($2MM partial guarantee on a $12.96MM salary), but signed his deal under the league’s current CBA. 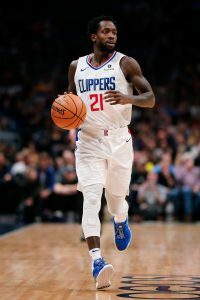 If the Clippers wanted to trade Bradley after the season, he’d only count for $2MM for salary-matching purposes rather than $12.96MM, making a deal tricky. It’s possible that Chicago wouldn’t have found any use for Asik on the trade market next summer, especially since the team may be far enough below the cap to take on contracts in trades without matching salaries. 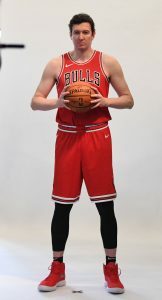 Harrison will also certainly help the club more in the short term, and the Bulls may eventually be able to remove Asik’s contract from their cap altogether if he’s deemed medically ineligible to continue his career. Still, it’s somewhat surprising that the team didn’t wait a little longer before deciding to cut bait on him. With Asik no longer under contract, there are just two notable players who signed contracts under the old CBA and have partial guarantees for next season — one is Cavaliers guard J.R. Smith ($3.87MM guarantee on $15.86MM salary) and the other is Suns forward Ryan Anderson ($15.64MM guarantee on $21.26MM salary). If either of those players is dealt during the summer of 2019, he’d count for his full salary for trade purposes, rather than just his guarantee amount. Trading power forward Ryan Anderson to the Suns did more for the Rockets than just shed salary, as Jonathan Feigen of the Houston Chronicle explains. Anderson didn’t have a clearly defined role with the addition of Carmelo Anthony, while acquisitions Brandon Knight and Marquese Chriss could contribute, albeit in a limited fashion. As an added bonus, the Rockets only had to toss in second-rounder De’Anthony Melton instead of packaging a future first-rounder to move Anderson’s contract, Feigen continues. Though Houston tends to play mostly a three-guard rotation, Knight could emerge as the backup point guard if he beats out Michael Carter-Williams. Chriss could become part of the mix as a backup big man if he beats out second-rounders Zhou Qi and Isaiah Hartenstein, Feigen adds. The teams reached an agreement on the trade Thursday. Knight had a minor cleanup on his knee approximately six weeks ago and may not be ready for start of training camp, John Gambadoro of Arizona Sports 98.7 tweets. Knight, who missed last season with a torn ACL, expects to be ready for the start of the season, Gambadoro adds. Knight is excited about the chance to play for a championship contender, Gambadoro relays in another tweet. Swingman Alessandro Gentile will not join other team members during a team bonding week in the Bahamas during the first week of September because he’s still recovering from right hand surgery, according to a Sportando report. Gentile expects to be fully cleared to practice by the end of the month, the report adds. Gentile, a 2014 second-round pick who has played in Europe since 2009, recently revealed he will join the team in training camp in an uphill battle to gain a roster spot. The Rockets have granted the Sixers permission to interview executive vice president of basketball operations Gersson Rosas for their GM opening. Get all the details here. AUGUST 31: The trade is official, the Rockets and Suns announced in separate statements. AUGUST 30: The Rockets and Suns have agreed to a trade, reports ESPN’s Adrian Wojnarowski (via Twitter). 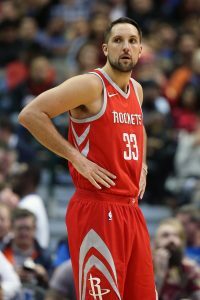 According to Wojnarowski, Phoenix will acquire Ryan Anderson and De’Anthony Melton from Houston in exchange for Brandon Knight and Marquese Chriss. Anderson has been on the trade block in Houston for over a year, with his expensive long-term contract having stood in the way of a deal until now. While the Rockets will finally shed the two years and $41.69MM remaining on Anderson’s deal, they’ll take back another pricey multiyear contract — Knight is owed $30.28MM over the next two seasons. Chriss will earn $3.21MM in 2018/19 and has a team option worth just over $4MM for 2019/20. The Rockets will have to make a decision on that option by October 31 of this year. As for Melton, he has yet to sign his first NBA contract, so Houston is technically trading his draft rights to Phoenix. The Suns will have the opportunity to lock him up once the trade is official. While the in-the-tax Rockets will save some money as a result of the swap, the on-court implications are even more interesting than the financial ones. Anderson’s impressive three-point range allowed Houston to stretch the floor on offense, but his defensive shortcoming made him unplayable in certain matchups — he didn’t see much action in the Western Conference Finals against the Warriors last season, for instance. In place of Anderson and Melton, the Rockets will be receiving two players with intriguing upside. Knight missed the entire 2017/18 season with an ACL tear, but isn’t far removed from averaging 19.6 PPG and 5.1 APG in 52 games for the Suns in 2015/16. Assuming he’s back to full health, Knight could provide Houston with scoring and play-making off the bench behind Chris Paul and James Harden. Chriss, meanwhile, has yet to develop into the sort of difference-making big man the Suns hoped for when they drafted him eighth overall in 2016. However, he’s still just 21 years old and has shown flashes of potential during his first two NBA seasons. It’s not clear how he’ll fit into the Rockets’ plans. The Suns, apparently not ready to bet on Chriss taking significant steps forward, will replace him in the frontcourt with Anderson, a veteran stretch four capable of playing alongside No. 1 pick Deandre Ayton. Phoenix will also add Melton, a 2018 second-round pick who had an impressive Summer League showing for the Rockets, filling the box score with 16.4 PPG, 7.2 RPG, 4.0 APG, and 3.0 SPG in five games in Las Vegas. The deal will leave the Suns lacking in experience and depth at point guard. Second-rounders Melton and Elie Okobo could see minutes immediately, with Shaquille Harrison and Isaiah Canaan also in the mix. It will be interesting to see whether Phoenix has another move up its sleeve to fortify that point guard position or if the club simply plans to lean more heavily on Devin Booker as its primary play-maker. In his full report on the trade, Wojnarowski notes that the Suns may envision a larger role for Harrison. The Rockets will create a modest traded player exception worth about $2.58MM in the deal.